Our professional, friendly approach to driving instruction means you’ll enjoy a relaxed, positive and encouraging environment to learn in. We offer 1, 1.5 and 2 hour lessons as well as a pre-paid 10 hour package. Our guaranteed price policy also means that the prices advertised on the day you book your first lesson will be the price you pay for all lessons until you pass the practical driving test. Book your first 1.5 or 2 hour lesson and save 50% off our standard price for that first lesson, see prices page for further details. 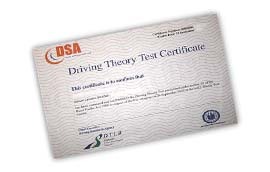 To teach you to drive safely and prepare you for your driving test. The pace at which we all learn varies so we work at a pace that suits you best. It can take anywhere between 30 and 60 hours to achieve test standard, that’s down to how quickly you learn and put it all safely into practice. The DVSA tell us the average number of lessons required is 47 hours with 22 hours practice in your own car, if you have access to one. HOW LONG WILL TAKE FOR YOU TO GET BACK TO ME? When you contact us by text, phone or email please be aware that we may not answer your enquiry immediately. We value your enquiry but when you have lessons with us you are paying to be taught how to drive not listen to us making phone calls or answer texts or emails. We will make contact between lessons where possible, or in an evening. DO YOU HAVE A MALE AND FEMALE INSTRUCTORS? Yes, we have a team of both male and female instructors. Can I take a practice test with Result? Yes, working as a team means we can offer mock tests with one of the other instructors before you take your actual practical test. Giving you experience of what it’s like on test day, being judged rather than guided. Do you offer intensive courses?. Experience has shown us that learning to drive requires a gradual learning curve. Our pupils are better equipped to take their test and survive tricky post-test driving scenarios if they learn their craft without being time pressured. For this reason we do not offer intensive driving courses. When you’ve passed the practical test with us we still want to help you. We know getting your first car is always exciting but it can also be difficult. You’ve learnt in one of our cars but yours may well be different to that car. To help we offer a free one hour lesson to help you get used to your first car or to help with any issues you are having once you’ve passed your test. All you have to do is contact your instructor and arrange a lesson.